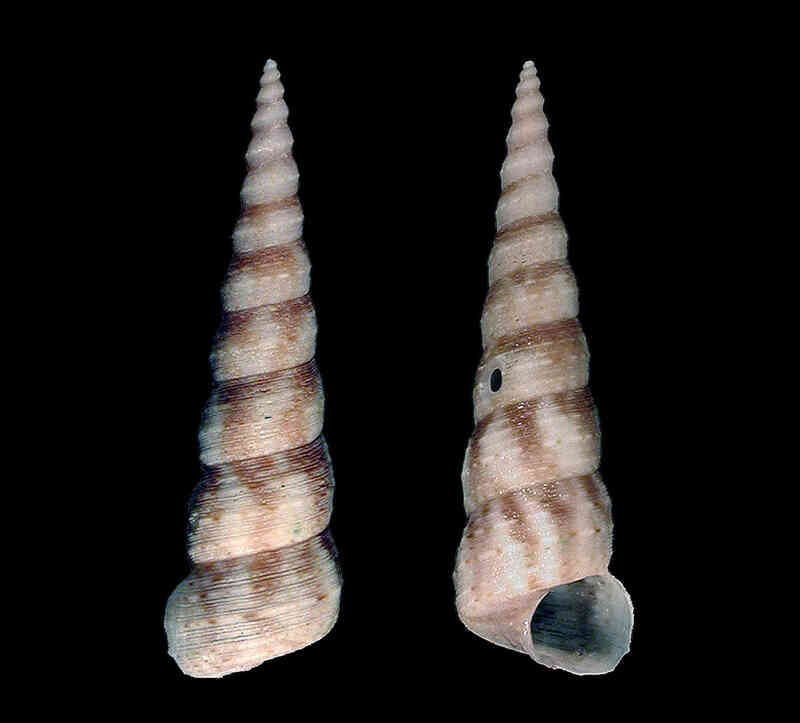 Shell size to 25 mm; shell elongate, narrow, with 10-12 convex whorls. Sculpture of spiral lines of which are larger at periphery. Aperture squarish. Color tan to brownish-orange.